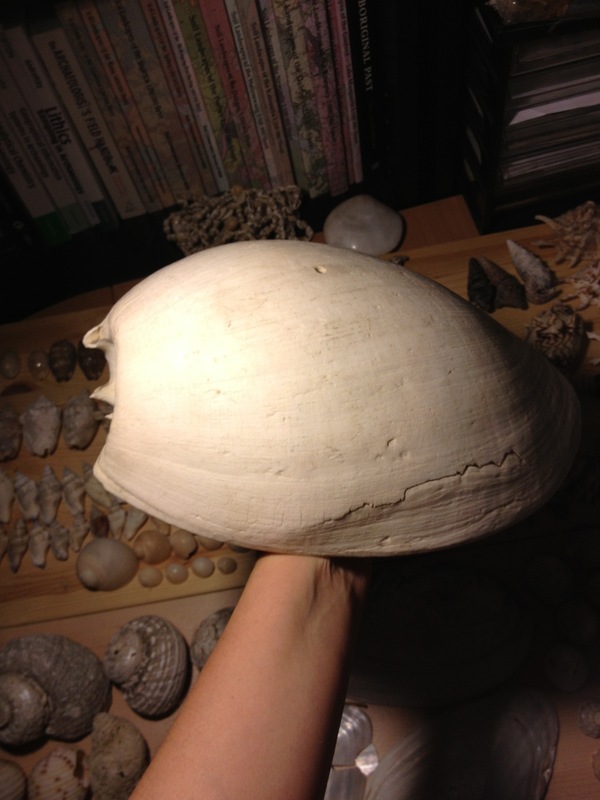 This is the largest shell in my collection by far. It was inherited so I have no provenance and as yet no family narrative. It’s making classification difficult. Gastropoda, yes. 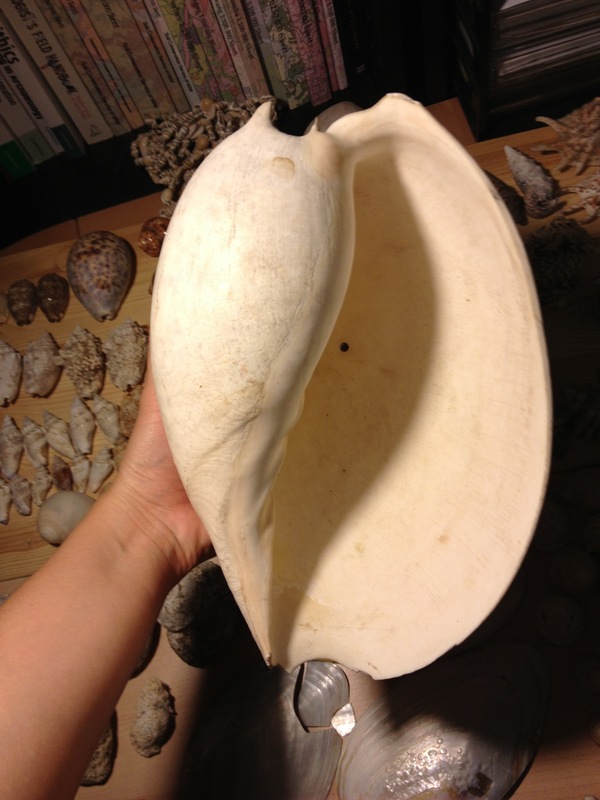 My guess is a baler/bailer volute, genus melo from the family Volutidae. Definitely not from NSW.